Why Is This Section Included? A lot of people ask why I include information about Linux on this site. It's a good question, and it deserves an answer. When I first built this site, Windows 98 was the current consumer version of Windows; and frankly, it was less than wonderful. It wasn't very stable, and most users encountered the "blue screen of death" or other serious errors requiring reboots on a regular basis. It also was very vulnerable to viruses and other malware. In addition, it required what was, by the standards of those days, a fairly powerful computer to run reasonably well. And finally, it was fairly expensive by the standards of those days. Windows 98 SE ("Second Edition") attempted to correct the problems with Windows 98, and succeeded to some extent, but added new problems in the process. Basically, they removed the old bugs and replaced them with new bugs. The end result was a system that was so unstable that getting through a single day without a crash or the need for a reboot was enough to make a day a good one. There was another version of Windows known as Windows NT, but it was used mainly by businesses. It was much more stable than Windows 98 and used a much better and more robust file system; but it was unsuitable for most home users because it had limited multimedia and game support, and didn't support "virtual device drivers" (which were part of what made Windows 98 so unstable). In addition, a lot of consumer-grade peripherals like inexpensive printers wouldn't work with NT. So although businesses users could enjoy the stability of NT, home users were pretty much stuck with Windows 98. Worse yet, Windows 98 SE was followed by a home version of Windows called Windows Me (officially standing for "Millennium Edition", but more commonly called the "Mistake Edition") that was so unspeakably horrible that you were lucky if it got through the installation without crashing a few times. It was a complete mess. Shortly after it was introduced, it quickly disappeared into well-deserved oblivion. Because of all these factors, there was quite a bit of interest in Linux back then. Although designed as a server system, there were new desktop Linux distributions coming out all the time, some from major players in the PC industry. Corel Linux, for example, came with the then-popular WordPerfect suite, ported for Linux, at a fraction of the price that the Windows OS would cost just by itself. Other desktop-optimized Linux distributions were being released by non-profit organizations who just wanted to build a better Linux. And largely because Windows was so horribly bad back then, these desktop Linux distributions were starting to catch on. A lot of us who switched over to Linux did so because we just wanted a computer that would do what we needed it to do without crashing several times a day. Others liked the fact that it was free and open-source. Still others liked the fact that it was essentially immune to viruses. Add all of us up, and there were millions of people making the switch to Linux. So long story short, given that I built this site during that era, I really had to include a "Linux section." It was that popular. Not too long afterwards, and after the colossal failure of Windows Me, Microsoft finally got around to building an NT-based consumer version of Windows that actually worked right and had good multimedia support. Windows XP Home Edition was so much better than anything else Microsoft had ever released for home users that it sold like hotcakes, and interest in desktop Linux began to die down. That being said, some of us liked Linux for its own sake and kept using it, either as a sole system or in a mixed environment. In addition, users who abandoned Linux once Microsoft came out with a consumer OS that wasn't crap are often amazed at how many good Desktop Linux distributions are out there nowadays, and how good they really are. Not just compared to Windows, but in their own right. It's much more polished than it used to be. That's probably why Desktop Linux is starting to catch on again, judging by my site stats and the hits on the Linux pages. There are do-it-yourself computer builders who are deciding to use Linux as their operating system, either because they support the Open-Source movement, or simply because they happen to like Linux. And indeed, there's a lot to like about Linux. Linux is fast, stable, versatile, and (in most cases) free. With very polished Linux distributions and applications available for the asking, and with thousands of community-maintained software projects for Linux, you can find Linux software to do pretty much anything you'd ever want to do with a PC. Building a Linux PC really isn't very different from building a Windows PC. The main difference is that when designing a homebuilt Linux box, you have to be sure that the parts you select will work well with your particular Linux distribution. Linux hardware support is much better than it was when I first built this site, but it's still not to the point where every single part will have a driver. You need to do a bit of research first. 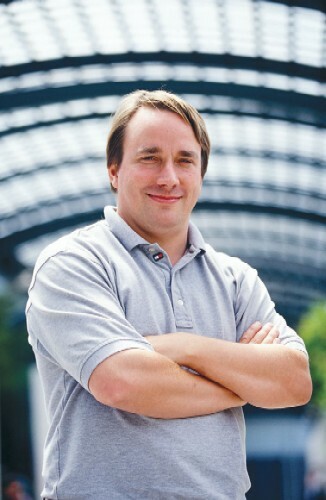 Linux was invented in 1991 by Linus Benedict Torvalds (the guy in this picture, which was taken in 2002) while he was a student in Finland. What Linus wanted was a Unix-like operating system that he could run on an Intel 386/486 platform, and that didn't require taking out a mortgage to obtain. Ideally, in fact, he wanted it to be free. So Linus went about looking at other Unix-like systems (especially Minix); and learning as much as he could about POSIX, which basically is a set of standards defining things like shell commands and application interfaces in Unix-like systems. What Linus wanted was a free, POSIX-compliant Unix system that could accept standard Unix commands and run Unix programs, but whose code wouldn't infringe on anyone's copyrights. This meant writing the whole system from scratch. That was quite an undertaking, even for a bright kid like Linus. So almost immediately upon writing his first kernel, Linus encouraged others to not only look at its source code (the human-language code before it is compiled into binary code that computers can use), but also to critique and improve it. Over time, a worldwide community of programmers became involved in the project. 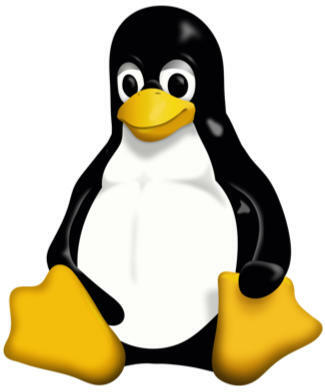 Today, Linux stands as the foremost example of the ability of the open-source movement to produce high-quality, stable, secure software, with Linus providing general oversight and guidance over ongoing Linux development in his official role as Benevolent Dictator for Life. Linux is widely respected as a mature, fast, stable, secure operating system that's ideally suited for mission critical tasks requiring high uptime and low maintenance. In fact, the majority of the world's Web servers (including the server hosting this site) are powered by Linux, usually running another legendary, open-source piece of software, the Apache Web server. What is a "Linux Distribution?" Linux is open-source software, meaning that anyone with the knowledge and wherewithal is free to use it, change it, and redistribute it, as long as they comply with the provisions of the General Public License. This means that anyone (including you) is free to gather together the source code and compile a Linux system from scratch, if you so desire, and even to make improvement, provided that you share any changes to the source code with the community. Most people, however, purchase or download a Linux distribution. A distribution (or distro, to those in the know) is a complete, pre-compiled Linux system that includes the most recent stable release of the Linux kernel, as well as a large number of core applications and utilities that have, for all practical purposes, become so closely associated with Linux that they may as well be considered part of it. In addition, most Linux distributions also install pre-selected applications that are chosen based upon their likely usefulness to the distro's intended users. For example, distributions intended to be used as server operating systems usually install Apache and a wide variety of other servers (for mail, FTP, and so forth); while desktop distributions install a graphical desktop, office productivity software, multimedia apps, system maintenance tools, and maybe a few games for good measure. Most distributions also include easy ways to install many additional programs that are not installed by default, but which can be installed if a user wants them.